Datto, Inc., the world's leading provider of IT solutions delivered through Managed Service Providers (MSPs), today unveiled its new office in Ontario, Canada. 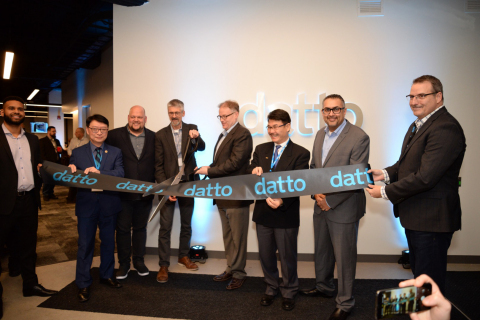 Tim Weller, Chief Executive Officer of Datto and Ontario MPP Billy Pang oversaw the official ribbon cutting ceremony, along with Rob Rae, VP, business development at Datto, and Ontario Councillor Alan Ho. "We congratulate Datto on expanding its presence in Ontario to serve the needs of its partners throughout Canada," stated Billy Pang, Member of Provincial arliament, Legislative Assembly of Ontario. "Ontario is Canada's largest province and a hub for business. With a large talent pool and robust business environment, Datto has all the ingredients it needs to continue its aggressive growth." Founded in 2007, Datto is a global leader in business continuity and disaster recovery, business management, and networking services. Datto's presence in Ontario will enable Datto and its partners to continue to grow and address the IT needs of the small to medium businesses (SMBs) in Canada. 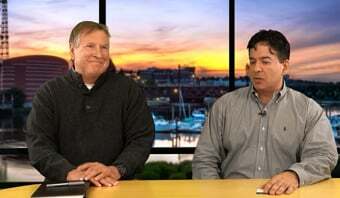 "At Datto, we're proud to be a global organization that provides services on a local level. Our new space in Markham enables us to support the more than 1,100 Canadian partners we serve to help them grow their businesses," said Tim Weller, CEO, Datto. "Datto added more than 325 new Canadian partners in 2018. MPP Billy Pang and Councillor Alan Ho have provided great support for our growth and have created a welcoming business environment for Datto, our partners and thriving local businesses." "The Canadian MSP channel has grown significantly over the last several years as more and more companies are focused on helping SMBs address IT challenges like business continuity, data back-up and recovery, and security threats like ransomware," said Jamie Smith, General Manager at Lanetco Computer Networks, a Managed Service Provider and Datto partner. "We've been working with Datto for several years, and we look forward to benefiting from their expanded presence in this market." "Here in Ontario, we're lucky to have high-tech businesses that bring great opportunity to our area like Datto," said Alan Ho, Ward 2 Councillor in Ontario. "With over one million small-to-medium businesses in Canada, Datto's dedication to making small businesses more successful and secure is more than welcome."